If you have never been in Vitebsk, then do not miss the opportunity to visit this city, so clean and bright, as if seized by sunbeams. You will not regret after coming here since you will never ask what to see in Vitebsk. Only look around - and you will notice how tempting sights of Vitebsk call for an amazing walk through the unread pages of the history of Vitebsk. 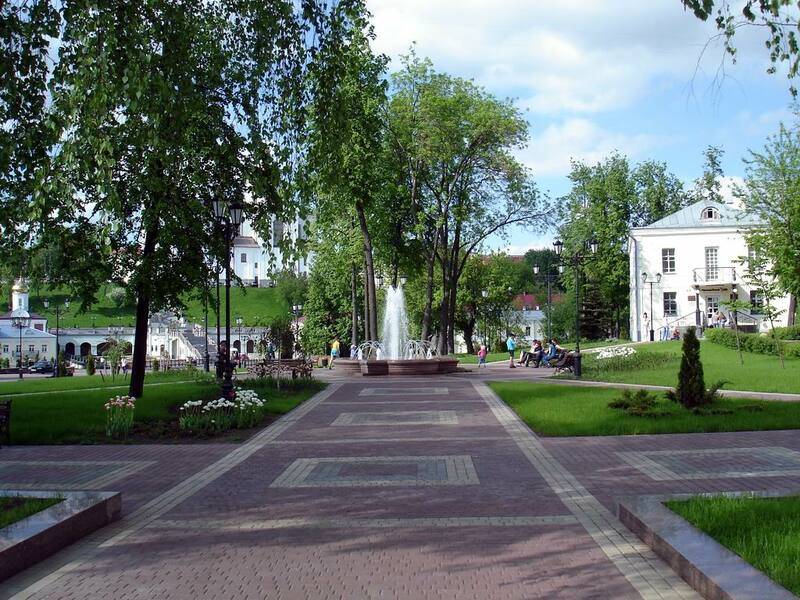 Enjoy a walk through Vitebsk parks, where each element whispers an amazing history of Vitebsk. 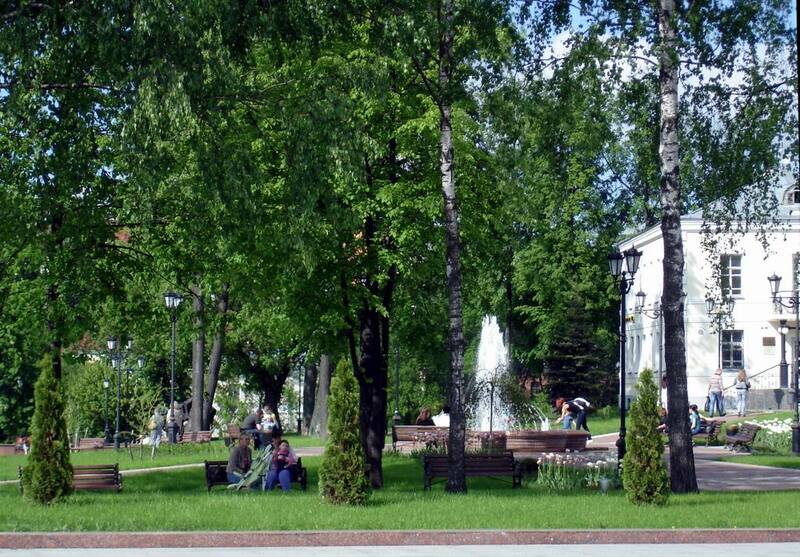 You should walk through Vitebsk Public Gardens because due to slow acquaintance with the nature you'll open a wonderful and mysterious world of Vitebsk views. 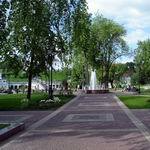 In Vitebsk residents have their favorite places in the city. And one of those places is Pushkin Public Garden. Not only youth but also older generation likes to come here to sit in the shadow of the city park, where not only feelings flame once again experienced, but also a sensation of flight, furious joy and serene happiness arise. The secret of the old park could not be solved if it would not for its history, amazing and incredible. Pushkin Public Garden was laid in the XIX century, in the second half. However, at that time it was the well-known Noble Park, as there was the Noble Assembly just down the road. Pushkin Public Garden got its modern name back in 1899 when it was decided to commemorate the 100th anniversary of the birth of the outstanding Russian poet. A walk in Pushkin Public Garden will give you lots of positive emotions. It is not only fascinating whisper of the leaves and picturesque landscapes that the park visitors can enjoy. Nearby are the amazing attractions of Vitebsk, which admire with their history and contents. One of those iconic places in Vitebsk is the Holy Spirit Convent. To walk around Kirovsky Bridge would be no less interesting with incredible sunsets and sunrises. And you should start you learning trip with the Monument to Alexander Pushkin, which is located in the park. Then leisurely stroll along Pushkin Street, feel the amazing atmosphere in which the city lives. And what is next? Walking in Vitebsk, step by step, you will see how many beautiful things the ancient city hides, which is able to give freedom to the tourists for imagination and creativity. To flesh out the upcoming trip, please visit the city portal VitebskCity.by. It has everything, and even a little bit more, you need to know about the city, which gives you unforgettable moments.